Our easy-to-use full hire service has a wide range of innovative fun foods that will draw in the crowds and make your event memorable. Hire: Chocolate Shawarma, fry-free churros, gourmet crepe, waffles, fudge puppies, candy floss and popcorn machines. Our great range of fun food machines are a must at any event and come with staff to serve or dry hire. 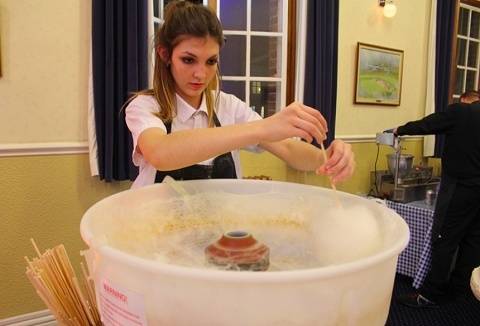 The nostalgic traditional candy floss machine and freshly popped popcorn stands are perfect for all events, ice cream trolley with soft scoop flavours. 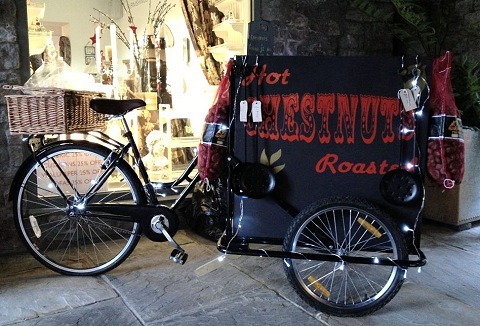 Traditional vintage tricycles for hire that would make a great addition to any wedding, corporate event, fete or fun day. Hire one or hire them all, ice cream trike, Pimms and Mojito, Daisy the sweet/drinks bike or candy floss machine in a barrel hire.